Located on Vaitarana riverbank with orchards and paddy fields for neighbours, Neesa Farmville seems like a day dreamer’s paradise. It boasts of a rustic ambience with a convenient infrastructure and offers a great mix of leisure and recreation. 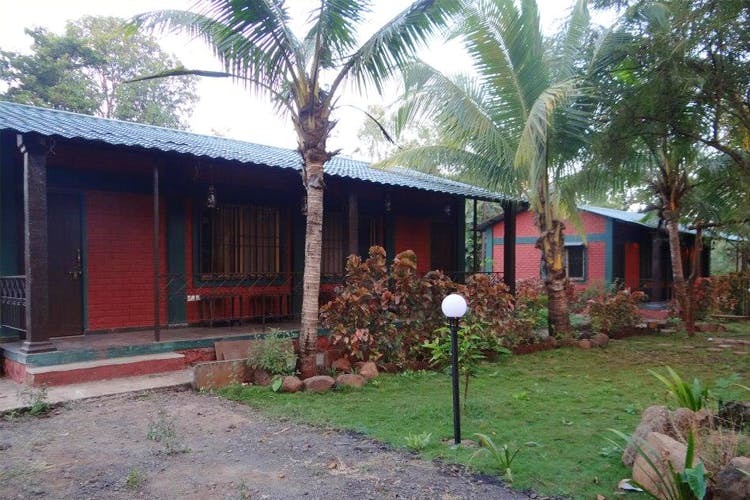 It’s a four-acre, fenced property in Village Ainshet in Palghar district. The nearest major place would be Wada, a few kms away from the property. It’s a retreat that aims to take you back to the basics. If you want to escape the city, what better way to avoid horns and head to a retreat? They have activities at the venue to keep you busy, like swimming, chess and meditation. The idea is to make you put your phones down and come closer to nature. They have luxury cottages and tents to stay in. Their day packages start at INR 500 per head going upto INR 1,750, depending on your chosen package. Think lots of greenery, birds and home cooked food. Don't leave home without sunscreen, snacks, clothing and toileteries.